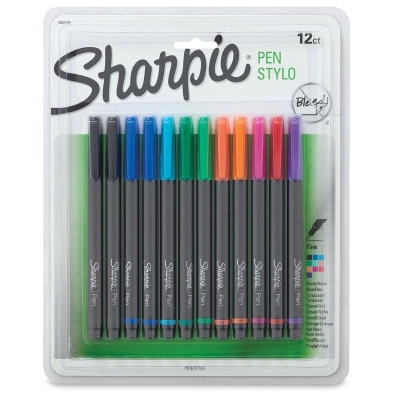 The new Sharpie Pen makes a bold, vivid mark like only a Sharpie can, but won't bleed through paper. A unique extruded plastic tip assures durability and line-width consistency, while the fine point delivers crisp lines and precise writing. Includes two each of Black and Blue, and one each of Turquoise, Green, Clover, Coral, Orange, Hot Pink, Red, and Purple.